Big call, I know. But we found it, ate it, and left all the better for it. 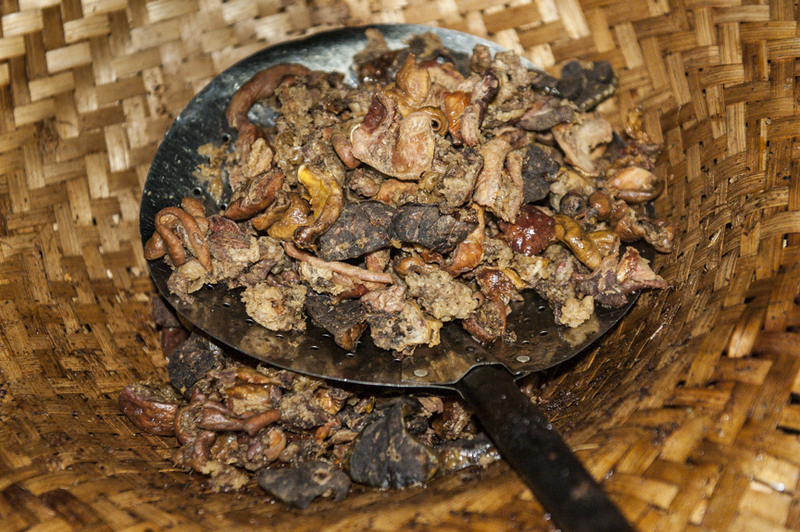 Babi Guling is Balinese roast pig. Sometimes inaccurately referred to as suckling pig, the roast Balinese pigs I’ve seen are well into the sunset of their suckledom. When any man-food is labelled The Best, it attracts interest from chefs and hungry blokes alike. 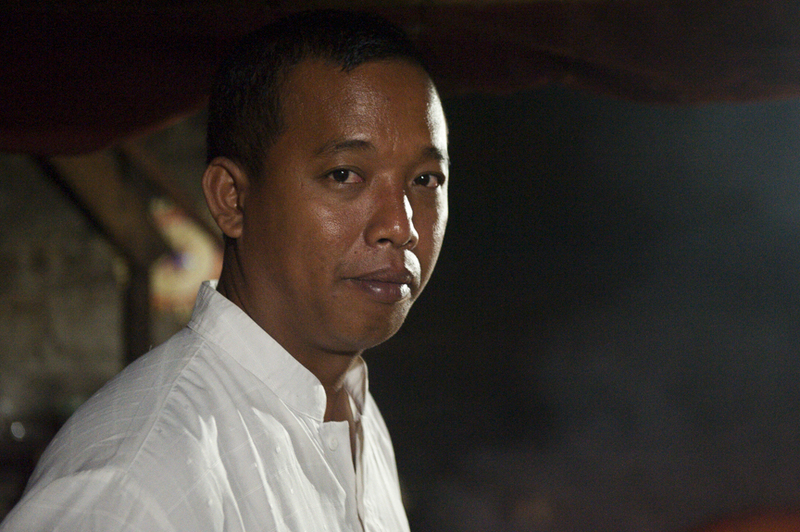 Ever since Anthony Bourdain put Ubud’s Ibu Oka on the international map, the warung (a small family owned business, usually a cafe or shop) has maintained quite the reputation, and its central location makes for a steady stream of tourists eating the place out every day. 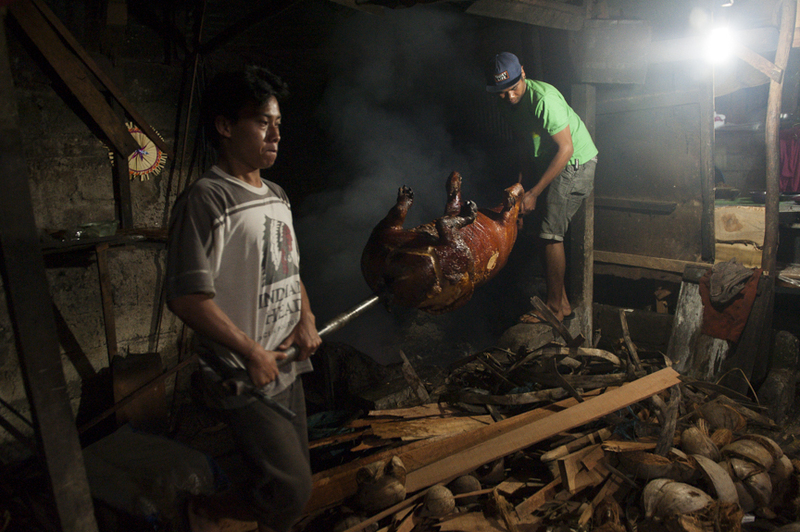 Adam Liew also did a thorough job of summing up the balinese roast pig landscape in his article here, so if you want to learn more about the ins and outs of it all, it is worth a read. If you just want to learn about a midnight drive to the perfect secret stash, read on. One way or another, W and I frequently find ourselves in situations that could challenge some, and I can thank W’s unrealised goal of discovering the best Babi Guling in Bali, for the latest in our adventures. W had been tipped off by a blog called Bali Manual that hinted at the location of the mostly secretive warung. We asked around and eventually found a local who knew where it was, and could take us there. It was 12.30am. 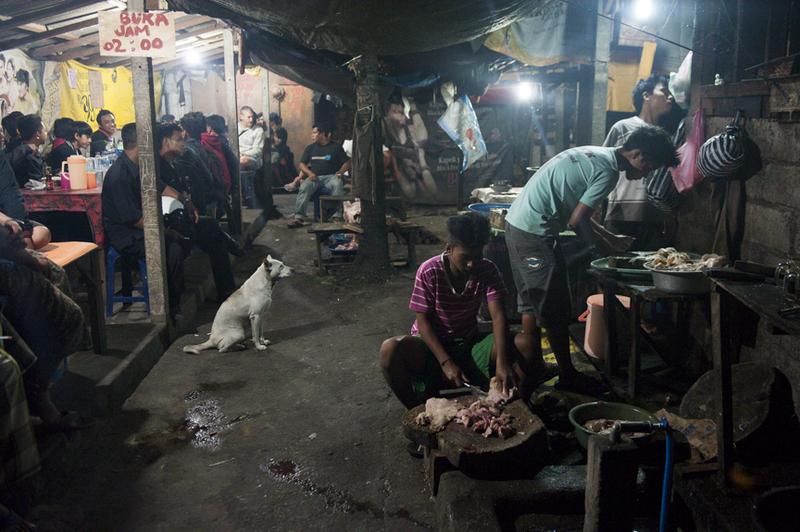 Barely out of our driveway, and hurtling toward crowds of dogs on unlit roads in Canggu, we connected with two hapless canines, and to the sickening strains of yelping, sent one rolling to the side. I asked that we stop to check, prepared to press W into euthanasia duty, should the animal be suffering. Made, our driver, obliged, and alighting the vehicle, commenced inspection of the damage to his car. With the animal nowhere to be seen, and a driver distracted by the damage bill, we got back in the car, and continued silently into the night. For Douglas the Dog, the waiting was the worst. The warung opens at 2am. It is run from the owners house, and is located down an alleyway just wide enough for a motorbike. Customers start arriving from 1am, all men, predominantly in their 20’s, and on their way home from work. By the time the pig is good to go, around 30 people have got their number, found spots on the stools to watch the carve up, and the anticipation is palpable. 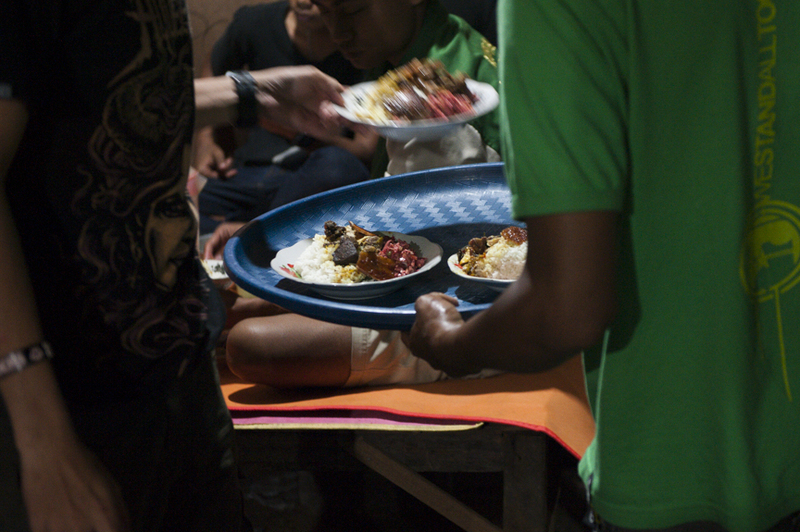 balinese version of a 2am kebab? Every family and staff member have designated roles in the preparation, and every part of the pig is used. From the rice, to the spice, greens, and sausage preparation, everything is made fresh each night. For around $1.50, a local gets the mixed plate of meat, sausage, greens and condiments. As a foreigner, the rate is more like $3. If you do get here, pay extra with good grace. Around 4am, the warung sells out. With the same precision that began the process, cooking and serving implements are washed and stacked, and returned to their spot for the next day. If pig and crackling are your thing, I would wager this is the ultimate. Roasted with salt and tumeric, the crunchy skin, fresh off the fire, is perfect. Accompanied by fresh and tasty greens, lemongrass, sambal and rice, the meals served to the waiting call-center boys lasted just moments. If animal welfare is close to your heart, this is no place for you. I’ll be frank. The pig lives an unpleasant and short life, but it is killed humanely. I decided that if I was going to take photos, I should eat the result, and face the truth. I freely admit I find it confronting in the extreme, but I also understand that not everyone finds it so. When an average wage is around $100-200 per month, I appreciate priorities are different. If an albeit adventurous and well-intentioned celebrity chef and TV crew got in here, the place would be ruined. Tourists wanting a menu and table service also qualify out. So I am keeping it largely secret. (If you want to go there, call Made when you are in Bali, on 08155725158, or email him on imadewidana@rocketmail.com.) What I can tell you is that it is open from 2am till sold out (around 5am), near Buduk, and follow anyone on a scooter ravelling toward the scent of roast pig at 2am. I asked if the owners wanted to have more customers and the reply came, “that would mean instead of one pig, they would need five, and they would need to move”. Silly question really. Looked great until I got to the sausage section. I’ve got to be honest, there was gagging, and a quick switch onto Wazza’s plate!! I’ve been to bali many, many times. and each time i’ll stay in canggu area. but i’ve never heard of this amazing joint u discovered. i’ll be heading back “home” to canggu in a couple of hours and i really hope u’ll share with me the location of this place. tried emailing Made (the email u provided) and Bali Manual but no responds! i’m a huge foodie and has a serious hobby for cooking. (@claykuok on instagram) it’ll mean alot to me! Thanks Clay for your interest! Ill email you with a bit more info. I’m from france and in Ubud right now. I’ve just heard of babi guling today and found your article. Would you by any chance help me find this wonderful place ? Please email me when you can. The roasted pig looks amazing! I was wondering if you could please tell me the location of the place? I will be heading to Bali next month, and would really like to be able to take my bf there since he really loves babi guling, or anything with pork really.. I was lucky enough to find that place but unfortunately it was closed when I got there and was told that they have changed their opening time to 5pm. Thanks a lot for the update Isaac! I hope you got to get there when they were open.